I had the priviledge and pleasure of attending the Camp Pendleton Career Expo on February 7th. This job fair was informative, exciting and very well attended. The main point I picked up from all the representatives of the companies and educational institutions was that everyone wants to help our military brothers and sisters! This will be a regularly updated blog as I receive new positive leads for all of you. Check out these companies and educational institutions below. And when you contact them, tell the contacts you heard about their career information from Military Mom Talk Radio! Sutter Health- www.sutterhealth.org/employment ; Job opportunities are in Northern California in the health care industry. Have special programs directed towards military personnel. The Entrepreneur’s Source- www.theEsource.com/DRaffeerty ; for those interested in investing in a franchise business; these people can help! Keep checking this blog for more companies hiring and universities to attend. Military Mom Talk Radio is co-hosted by Sandra Beck and Robin Boyd and produced by Doris Rivas-Brekke, hosted by Toginet Radio and powered by Motherhood Incorporated. Military Mom Talk Radio supports and helps bring information to the families of the Army, Navy, Air Force, Marines and Coast Guard and is dedicated to serving our friends and family at the following Army bases: Fort Sill, Fort Bragg, Fort Carson, Fort Jackson, Fort Sam Houston, Fort Dix, Fort Campbell, Fort Belvoir, Eglin AFB, Shaw AFB, Fort Hood, Fort Eustis, Fort Leonard Wood, Redstone Arsenal and Fort Bliss. We would also like to honor our friends and family at the following over seas installations: Bahrain Administrative Support Unit, NATO Support Activity Belgium, Bad Kreuznach, Rhein-Main Air Base, Stuttgart/Robinson Barracks, Naval Forces Guam, Kadena Air Base, Torii Station, Aviano Air Base. We would like to thank the Department of Defense for supplying guest and topics. 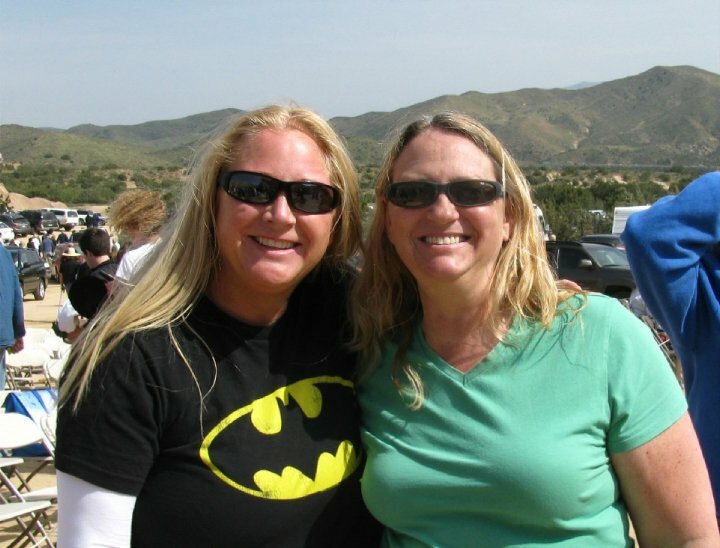 Lori Bell is founder and president of National Association of Military Moms and Spouses, the only network of its kind that brings thousands moms of service members and spouses together in one fun, supportive online community. Author of the forthcoming book&nb sp;Prosper Where You’re Planted: The Military Spouse Guide To Creating the Life You Want With The Military Life You Get, Lori was recognized and named Military Spouse Magazine’s 2010 “Military Spouse of the Year”. Today, she helps leading brands connect with the influential “military mom market” and provides innovative solutions to increase bottom line profits. In addition, Lori is a by-name requested motivational speaker and singer. Called “a remarkable woman” by Lifetime Television Network and havin g her personal story featured on NBC Nightly News Making A Difference, Lori has appeared in front of more than 20 million people via major media such as CNN, ABC, Fox News, and The Huffington Post. For more information visit www.nammas.org. 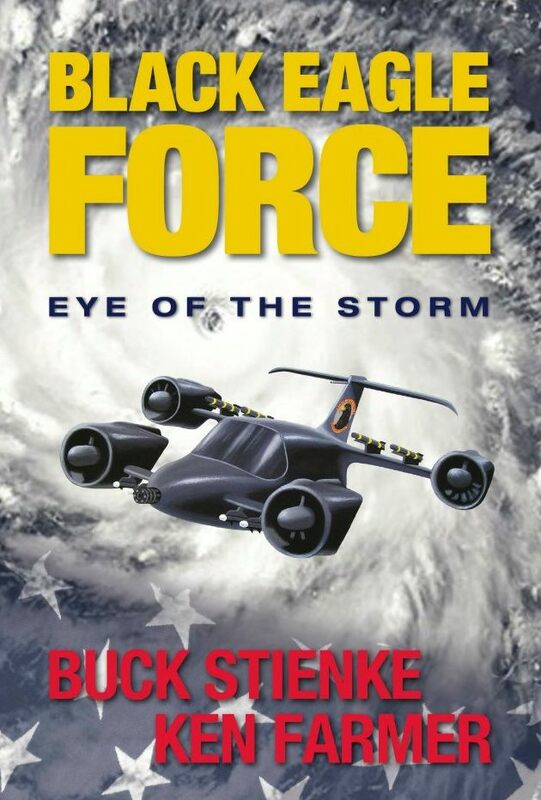 Reminiscent of Clancy’s best, but with more action, Black Eagle Force tells of a high-Tech secret Special Ops force defending American shores in a new military action thriller novel series by Buck Stienke and Ken Farmer. A clandistine Special Ops force comprised of patriotic former US military men and women pilots and special forces members contracted to the Department of Defense. Their motto is: Semper Paro Bellum. They are the BLACK EAGLE FORCE. Ken Farmer – After proudly serving his country as a US Marine (call sign ‘Tarzan’), Ken attended Stephen F. Austin State University on a full football scholarship, receiving his Bachelors Degree in Business and Speech & Drama. Ken quickly discovered his love for acting when he starred as a cowboy in a Dairy Queen commercial. Ken has over 38 years as a professional actor, with memorable roles Silverado, Friday Night Lights and Uncommon Valor. He was also OC and VO spokesman for Wolf Brand Chili for over eight years. Ken now lives near Gainesville, TX, where he continues to write and direct quality award winning films like Rockabilly Baby and write novels. Buck Stienke – Captain – Fighter Pilot – United States Air Force, has an extensive background in military aviation and weaponry. A graduate of the Air Force Academy, Buck (call sign ‘Shoehorn’) was a member of the undefeated Rugby team and was on the Dean’s List. After leaving the Air Force, Buck was a pilot for Delta Airlines for over twenty-five years. He has vast knowledge of weapons, tactics and survival techniques. Buck is the owner of Lo ne Star Shooting Supply, Gainesville, TX. As a successful actor, writer and businessman, Buck lives in Gainesville with his wife, Carolyn. Buck was Executive Producer for the award winning film,Rockabilly Baby. 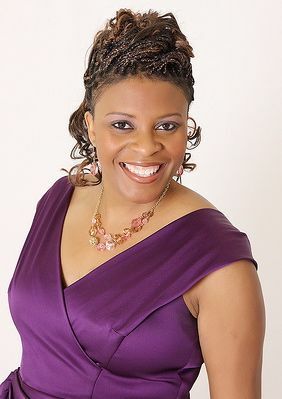 Janie Smith, Trauma Coach, Speaker, Author, Founder of HOPE Beyond Trauma; caregiver; mother and spouse of career soldiers. Her new book, HOPE Beyond Trauma . . . a mother’s journey is based on Janie’s caregiving journey after her 15-year-old daughter sustained a severe brain injury in an automobile accident. Years later, Janie watches her youngest son deploy to the battlefields of Iraq and Afghanistan for six tours. She tells of the difficulties soldiers and their families face when they return home. 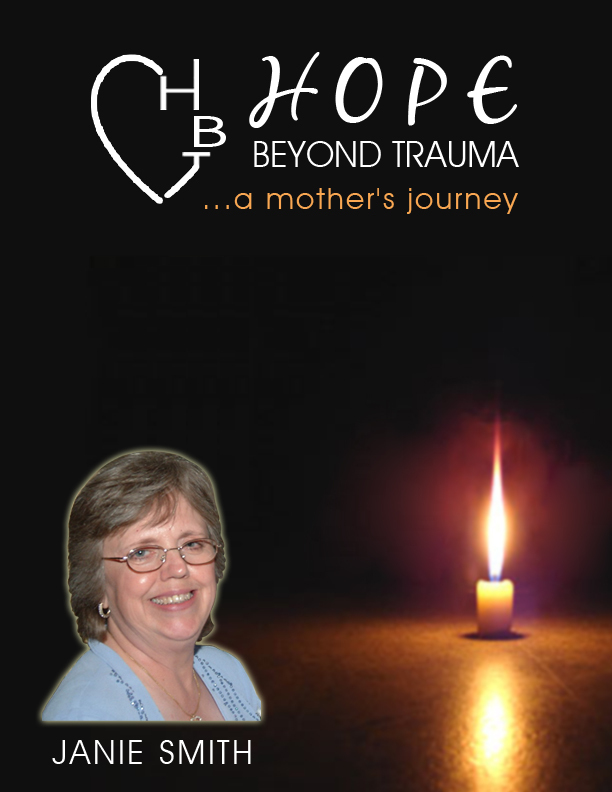 When she discovered brain injury is the “signature wound” of this war on terror it inspired her to start HOPE Beyond Trauma and write her book, HOPE Beyond Trauma…a mother’s journey. Janie’s mission and passion is empowering lives of those facing major trauma; specializing in brain injuries, caregivers, military families, everyone is welcome! For more information, visit www.hopebeyondtrauma.com. Military Mom Talk Radio on airs on Mondays at 2pm Pacific Standard Time on Toginet Radio and can be downloaded directly from Itunes and MilitaryMomTalkRadio.com. Be sure to follow us on Facebook and Twitter. Lynette Lovelace combined her spirit, enthusiasm for life, and 20 years of harnessing her inner gifts and created a line of luxury apothecary products inspired by the therapeutic powers of fragrance and mood. Based on the simple yet influential notion of “Choosing Your Mood,“ Lifetherapy aims to encompass the various experiences of life (such as love, hardship, glory, serenity) while arousing the senses and allowing an escape from everyday life. If you could capture the moments of your personal journal, your life, how would you go about doing that? Lovelace encourages those around her to imagine their lives as a journal, keeping in mind that every soul is unique. She has relentlessly filled her journals of life with ideas, creativity, moods and inspiration. Some journals have lines that define text, others are blank and allow for limitless expression; some remain empty yet alive with thoughts, intentions and daydreams, while others explode with sketches, intricate memories and quotes of loved ones. 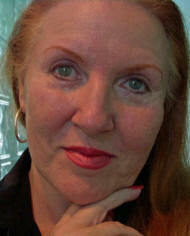 Find out more about Lynette and Lifetherapy at www.lifetherapy.com . “When a soldier serves, so does the family”. Author Donna Mull saw that statement on the shirts some military wives were wearing at a Fourth of July parade as they marched with their husbands. Suddenly, that statement had become personal. She had heard stories about mothers whose faithful prayers had changed lives. When her son received his orders for deployment to Iraq, she wanted to be one of those mothers. Equally motivated by love and pain, Ms. Mull embarked on a year-long journey of prayer, writing weekly devotionals that focused on the specific needs of soldiers and their families. She then forwarded them to friends and family, who used them as springboards for their own prayer times. If you have a loved one in the military, chances are you are engaged in a battle of your own. Will your loved one survive? Will you? How will you cope while your soldier is away? When your soldier returns, will he or she be changed? 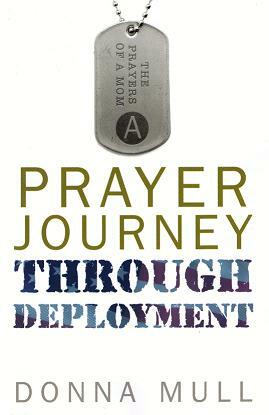 The Scripture-based prayers in Donna Mull’s A Prayer Journey Through Deployment will speak to your anxious heart with words of encouragement. Our loving Father understands your vulnerability, and you can rest assured that you are not alone. He will share your burden, and he will never leave your side. 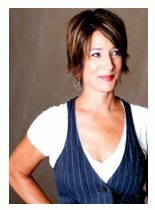 You can find more about Donna at www.winepressbooks.com. Leila Levinson is the author of award winning Gated Grief: The Daughter of a GI Concentration Camp Liberator Discovers a Legacy of Trauma. A graduate of Vassar College, Indiana University at Bloomington and the University of Texas School of Law, she advocates for veterans. She has appeared on CNN, is a regular contributing blogger for Huffington Post, and has written for The Washington Post, The Austin American Statesman, The Texas Observer, WWII Quarterly, CrossCurrents and War, Literature, and Art. The founder of the online community veteranschildren.com where veterans and their children share their stories, Levinson is now creating a nonprofit to bring attention to the transgenerational trauma that follows war and to facilitate a network of support for veterans and their families within central Texas. Lisa Detres is a pastor’s wife, writer, and mother of four children who works as a customer service supervisor in Valencia, California. Her oldest son, Augustin, is currently serving in the Army and is stationed at Fort Drum, New York. 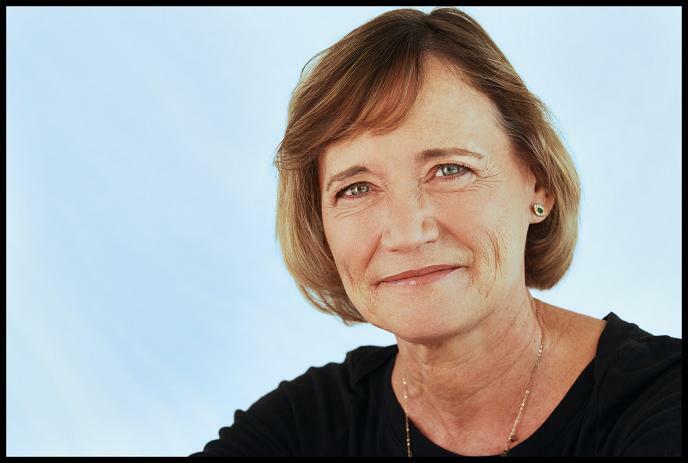 Author Mary Lee is a retired Air Force Master Sergeant and a Licensed Master Social Worker. 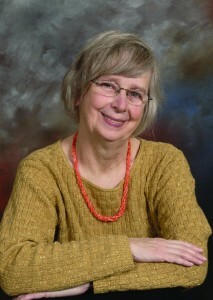 “When Grandma’s False Teeth Fly” is author Mary Lee’s second book. 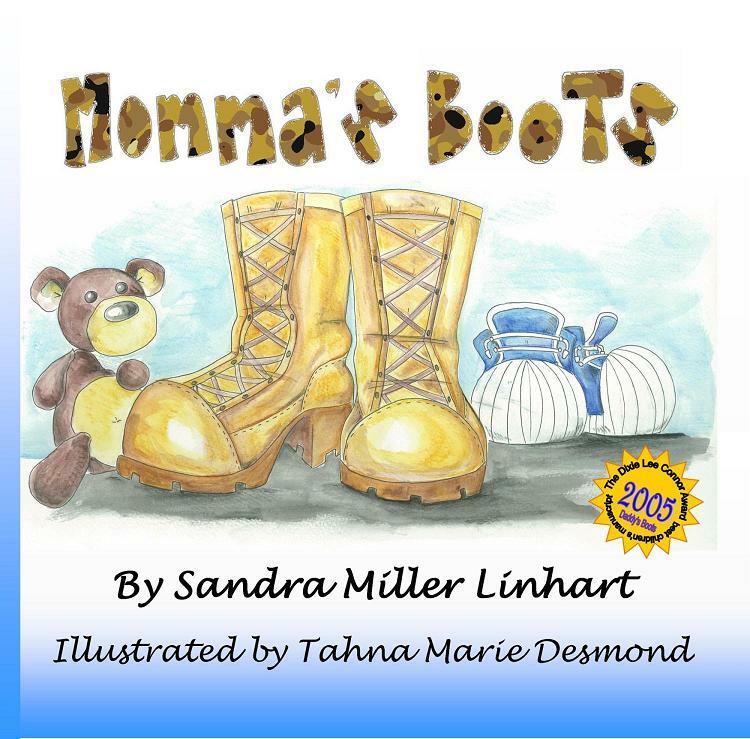 Her first book, “My Air Force Mom” is a picture book that explores customs and courtesies of military culture through a child’s eyes. “My Air Force Mom” was a winner in the Children’s Fiction Category of the 73rd Annual Writer’s Digest Writing Competition. Today’s Writer’s Corner features Joyce Faulkner and Leila Levinson. Have you decided to write a book? How do you start? Listen to Joyce Faulkner, award-winning author of “In the Shadow of Suribachi,” “Username,” and “For Shrieking Out Loud!” and Leila Levinson, award-winning author of “Gated Grief: The Daughter of a GI Concentration Camp Liberator Discovers a Legacy of Trauma” who will discuss reasons for writing (History, Dealing with PTSD, etc. ), creating the right environment, commitment, and journaling. Author Mary Lee is a retired Air Force Master Sergeant and a Licensed Master Social Worker. When Grandma’s False Teeth Fly is author Mary Lee’s second book. Her first book, ‘My Air Force Mom’ is a picture book that explores customs and courtesies of military culture through a child’s eyes. My Air Force Mom was a winner in the Children’s Fiction Category of the 73rd Annual Writer’s Digest Writing Competition. John Gorman was born in Minnesota, attended high school in Illinois and Iowa. After graduation enlisted in the United States Air force where he served as an Aircraft Loadmaster out of Charleston AFB South Carolina on C141 Star lifter cargo aircraft, accumulating 10,000 flight hours hauling cargo and troops all over the world. He was involved in many campaigns, some of these were Operation Desert Storm/Gulf War, Operation Urgent Fury, Grenada, missions to Beirut, Operation Just Cause, Panama as well as humanitarian missions to Haiti, Somalia and elsewhere, including some stateside. He graduated from the NCO Academy, and attended the Community College of the Air Force, was awarded the Air Medal, Humanitarian Service Medal and the Meritorious Service Award, achieved the rank of MSgt and was honorably discharged in 1997. He earned his FCC Amateur Radio License, FAA Aircraft Dispatcher license and later his FAA Private Pilot License in 2000. 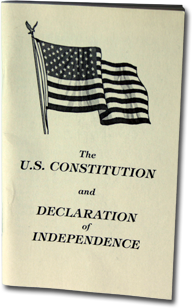 He started his Pocket Constitution site as a labor of love and a hobby with his mom in mind in 1997 the year she died. His mother loved her country, was a member of the American Legion and VFW Ladies Auxiliary’s she’d sell poppies every year and during the Vietnam War bought and wore MIA bracelets. His grandfather was a WWI Veteran, father was a WWII Veteran, uncle is a Korean War Veteran and brother is a Vietnam War Veteran, all loved and love their country. There were additional reasons though that he started this Pocket Constitution site, some of them are as follows. He found it very difficult finding pocket constitutions and remembers calling the Government Printing Office about it back then and the GPO representative had know idea what he was talking about. Also he believes it is important to have a more informed citizenry, public and voter. Too many of our institutions, media outlets and schools no longer inform us about the ideas of America’s founders. John now resides in Henderson, Nevada, and is the owner and sole proprietor of Dorseygor Press. 100% Veteran Owned. Sandra Miller Linhart was born and raised in the mountainous town of Lander, Wyoming. Here she was able to cultivate her love of reading, due in no small part to the fact the nearest record store was a two hour drive away, and the local radio station played only country and classic music. Were it not for this, Ms. Linhart might today be a rock star, or, at the very least, have better taste in music. However, with a well-stocked library within walking distance, she often found herself taking long journeys into the wonderful worlds created by the minds of Ursula K. Le Guin, Madeleine L’Engle, Stephen King and, of course, Judy Blume in the dusty basement of the Fremont County Public Library. Growing up in poverty, Sandra’s escape from her stark reality came printed and neatly tucked between the dust-laden, beaten covers on the library bookshelves, yearning for attention. Not content merely to travel to these places created by the wordsmiths she admired, Sandra knew she wanted to craft her own mental destinations for others to enjoy. Being deployed is a fact of life for soldiers. Humanitarian efforts, operations other than war (OOW), peaceful or wartime missions, a soldier’s duty is to be there. Sometimes it means leaving little ones behind wondering why. 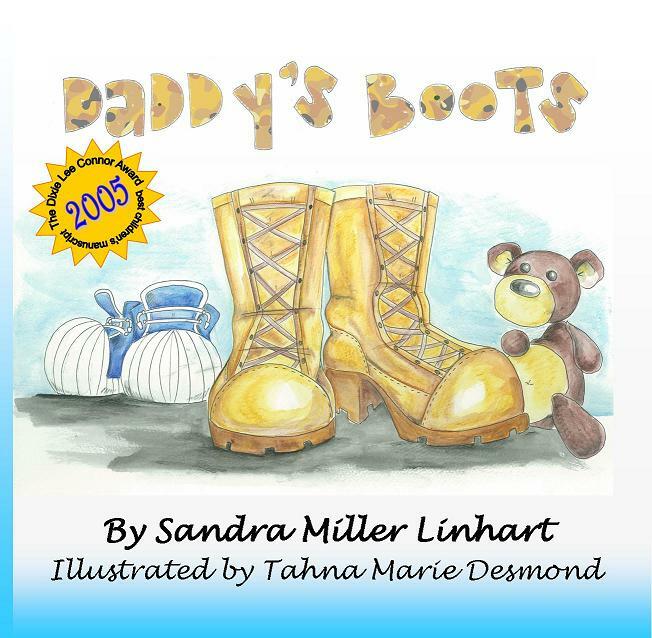 DADDY’S BOOTS & MOMMA’S BOOTS give a voice to our little ones’ questions and concerns: Where does Daddy or Momma go? What does he do? Might she get hurt? When will they come back? But, more importantly, the books give assurance and hope to military children that their parent’s duty is an honorable one. Returning again this week, Michael Russer addresses the topic of transitions; unique to military families when a military loved one is either on the move, or reintegrating back to civilian life. Michael J. Russer, CEO of RUSSER Communications and Managing Director for GoArmyHomes LLC is an international speaker, author and columnist about doing business online and virtual outsourcing. He is co-author (along with Christine Durst and Michael Haaren of StaffCentrix) of “Transform Your Business Using Virtual Assistants”, the first book on virtual assistants for the real estate industry. GoArmyHome’s mission is to provide assurance to every Army service member and their families that their particular needs as active military personnel are understood and will be fully addressed. These base specific sites are created under the guidance of men and women who have completed many military PCS moves, who have the knowledge and experience as to the support requires to make a relocation go smoothly. Staff dedicated to specific needs can be found at each site. He started his Pocket Constitution site as a labor of love and a hobby with his mom in mind in 1997 the year she died. His mother loved her country, was a member of the American Legion and VFW Ladies Auxiliary’s she’d sell poppies every year and during the Vietnam War bought and wore MIA bracelets. His grandfather was a WWI Veteran, father was a WWII Veteran, uncle is a Korean War Veteran and brother is a Vietnam War Veteran, all loved and love their country. There were additional reasons though that he started this Pocket Constitution site, some of them are as follows. He found it very difficult finding pocket constitutions and remembers calling the Government Printing Office about it back then and the GPO representative had know idea what he was talking about. Also he believes it is important to have a more informed citizenry, public and voter. Too many of our institutions, media outlets and schools no longer inform us about the ideas of America’s founders. John now resides in Henderson, Nevada, and is the owner and sole proprietor of Dorseygor Press. 10)% Veteran Owned.